Carl Paoli’s series started with guidelines to master the wrapping styles of rope climbing: Russian Wrap and Spanish Wrap. Next step with this popular movement is going legless. The ultimate level we eventually want to achieve is going up strict - without kipping. 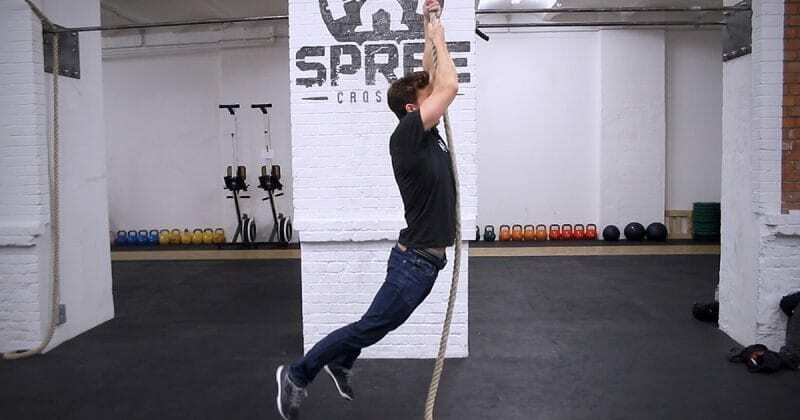 One way to progress from easier to more advanced, upper body challenging rope climbing – wrapping to strict legless – is learning the intermediate level first: swing kip. The following how-to was designed by a movement expert specializing in strength and conditioning for Crossfit, gymnastics and action sports coach Carl Paoli. If you are new to gymnastics, read here Carl’s guidelines for adult beginners first. Carl recently published his new book where he presents the art of movement and give you a personalized program that shows how to connect four basic movement styles to fit specific purposes. Find out more (click here). 1. Place your hands above your head and start swinging with keeping your body straight. 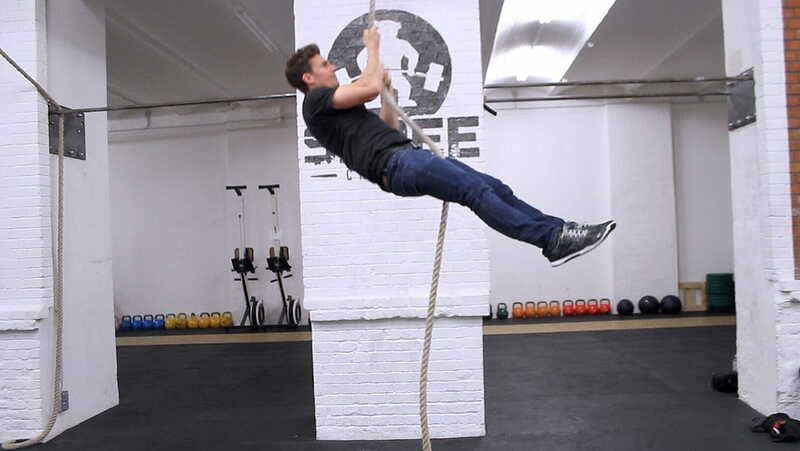 You can use the basic kip, called swing which is the same kip you would use for bar pull-ups. The only difference is with the shoulder engagement: when doing pull-ups we hang. 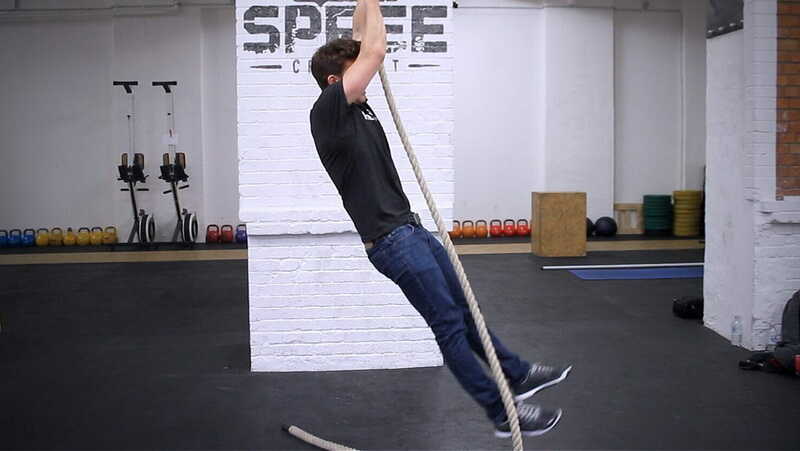 While when kipping on a rope, shoulders need to stay engaged. 2. 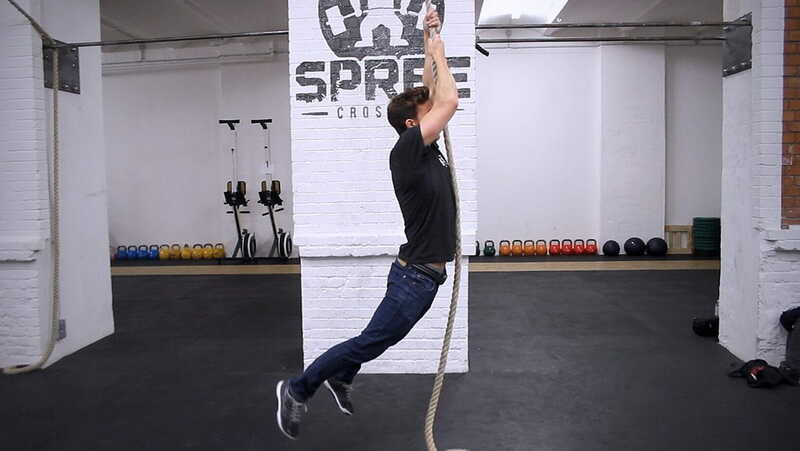 Swing back and forth in the same way you do when performing kipping pull-ups. 3. The next step is using the snap to get your chin above your hands: swing – kip. 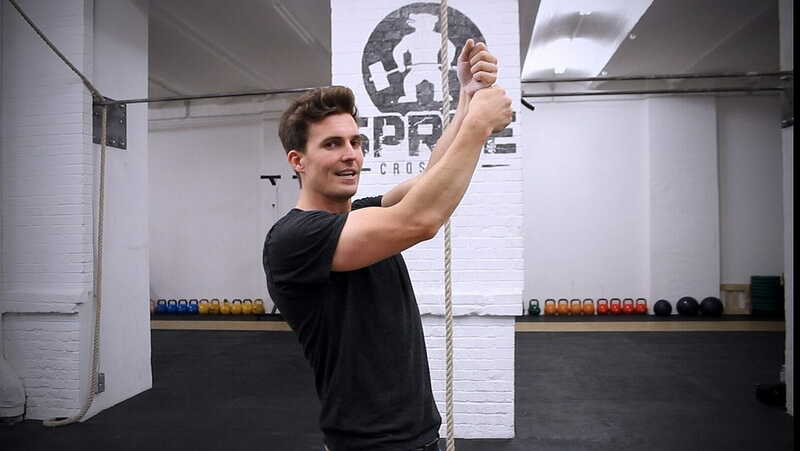 Once your chin is above your hands, use the weightless moment to take a step up by performing an arm bend and reaching with your lower hand above the upper one. 4. Start with shorter steps and extend their height once you develop the upper body strength. Use the strategy one step at a time. Smaller steps at the beginning and eventually progress to bigger ones. Be careful with landing. Keep your hands healthy and don’t “burn them” by dropping or sliding of the rope too fast. Fastest male`s time was 3:23, set by Mark Desin from Latin America. While the quickest women`s time was 4:20, done by Danielle Sidell from Central East.